A company that has been established for a long time faces a dilemma: longevity versus innovation. To remain in business over the long term means constantly improving efficiency while building upon the hard earned reputation through new product and market development. A world-leading manufacturer of plumbing and heating products based in Doncaster is just such a business. Established all the way back in 1890, the company has maintained a continuous state of evolution and, as its range of products has increased, it has sought out better ways to handle logistics. Part of this modernisation includes updating their fleet of materials handling equipment and that is our speciality here at Ability Handling. 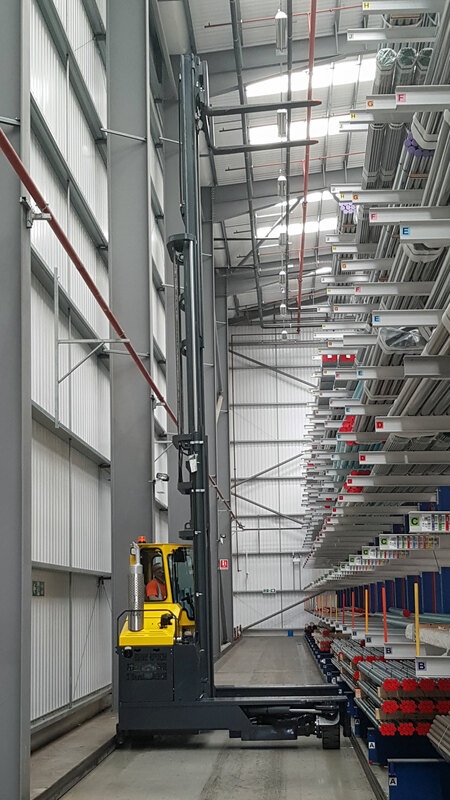 The Head of Logistics at the company got in touch with Ability Handling to seek advice on a new machine to handle long heavy product in a warehouse designed to maximise storage space through narrow aisles and high racking. 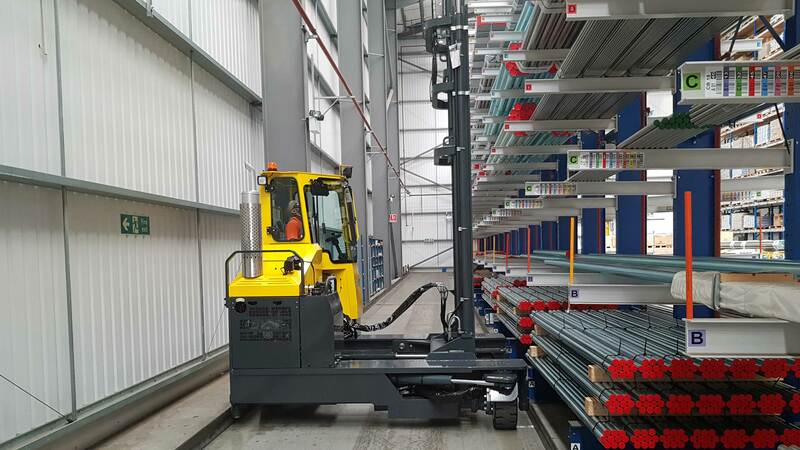 After a detailed site survey and with support from the team at Combilift, we recommended a fully kitted Combilift C5000 LPG machine with a high 8.4m mast, extended deck for stability and guide rollers to keep it on the straight and narrow. After reviewing the proposal from Ability Handling, the customer decided not to bother shopping around any further and signed up for the new machine to be delivered as soon as possible. A company representative said this decision was made due to "the exceptional level of service we receive from Ability Handling, combined with a super-fast response that is critical to our operation". Find out more about Combilift trucks on our website and enjoy our exceptional service for yourself!